48 hours is the new movie every movie lovers is waiting to watch. The movie is directed by Kem Bumbara a Cameroonian. You need to read the story line first in order to have a sense of belonging. 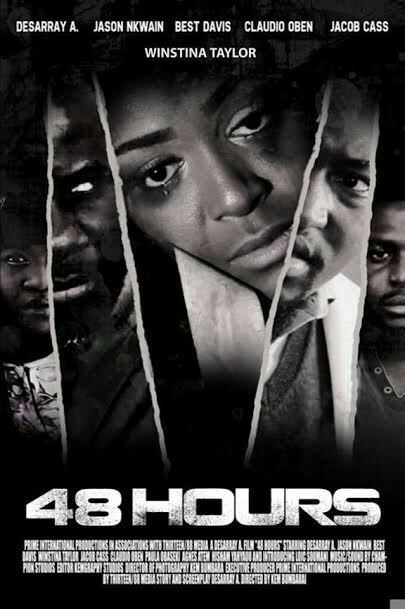 Read on: Action junkies and mystery lovers are in for a suspenseful thrilling treat as Cameroon born director; Kem Bumbara ‘48 Hours’ premiers in Washington, DC January 10, 2015. Written & Produced by Desarray A., a South African/Haitian Actress/Writer and film producer. ‘48 Hours’ is described as a dark, complex and unforgettable thriller, that succeeds ever expectation as a richly riveting and wildly gripping film with dramatic none-stop suspense which is deliberately woven to make cinematographic sense to its potential viewers. This Nollywood-Hollywood Block-Buster will place audiences upon a blood tingling ride from beginning to the very end!! !